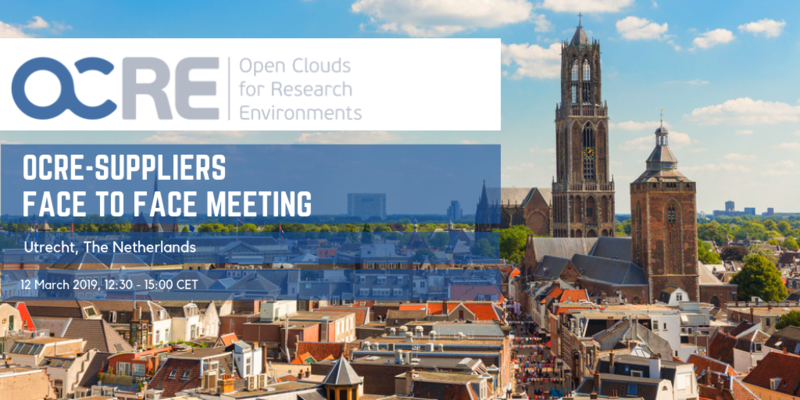 5 Feb 2019 Pisa - The Open Clouds for Research Environments project (OCRE) aims to accelerate Cloud adoption in the European research community, by bringing together Cloud providers, Earth Observation (EO) organisations and the research and education community, through ready-to-use service agreements and 9.5 million euro in adoption funding. Over 10,000 research and education institutions will be able to directly consume these offerings, with ready-to-use agreements via the European Open Science Cloud (EOSC) service catalogue. Furthermore, OCRE will make 9.5 million euro in service credits available to research institutions, via adoption funding from the European Commission. GÉANT interconnects Europe's National Research and Education Networks (NRENs) to reach thousands of research and education institutions, enabling OCRE to offer service providers a direct delivery route. Earth Observation services, which leverage European Union Data and Information Access Services (DIAS) platforms, where the Copernicus sentinel data is stored. Suppliers of Cloud or Earth Observation services are also invited to register for the OCRE-Suppliers Face-to-Face session , taking place on March 12, from 12:30 - to 15:00 CET, in Utrecht, The Netherlands. The OCRE team will present the delivery approach and tender and suppliers are invited to give input. Visit the OCRE project website.